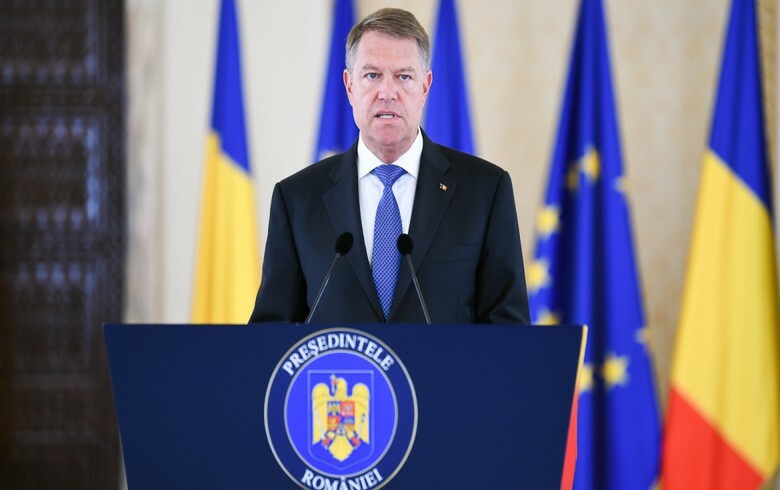 BUCHAREST (Romania), February 12 (SeeNews) - Romania's president Klaus Iohannis said on Tuesday that the 2019 budget draft moved to parliament by the government of the left-wing Social Democrat Party (PSD) and centre-right Liberal-Democrat Alliance (ALDE) is based on unrealistic economic estimates. "The budget is based on unrealistic economic estimates and preferential political subsidies, and PSD aims to have it quickly adopted following a questionable debates in parliament," Iohannis said in a press release. Romania's 2019 draft budget is built on projections for 5.5% economic growth and a cash deficit equivalent to 2.55% of gross domestic product (GDP). The country's parliament is due to vote on it on February 15. The president added that the two-month delay in drafting the budget once again demonstrates irresponsibility and lack of professionalism on the part of the incumbent coalition. Iohannis also pointed out that budget should serve the people and not the parties, referring to a planned increase in state subsidies to the parliamentary-represented parties, whose main beneficiary is PSD. "While there are no motorways in Romania, no modernised hospitals, no toilets and running water in all the schools in the country, the huge increase foreseen in this year's budget for parliamentary parties is disgusting," Iohannis said. He also called on all MPs to look at the budget not as an instrument to fulfill party promises, but as a means for economic stability.